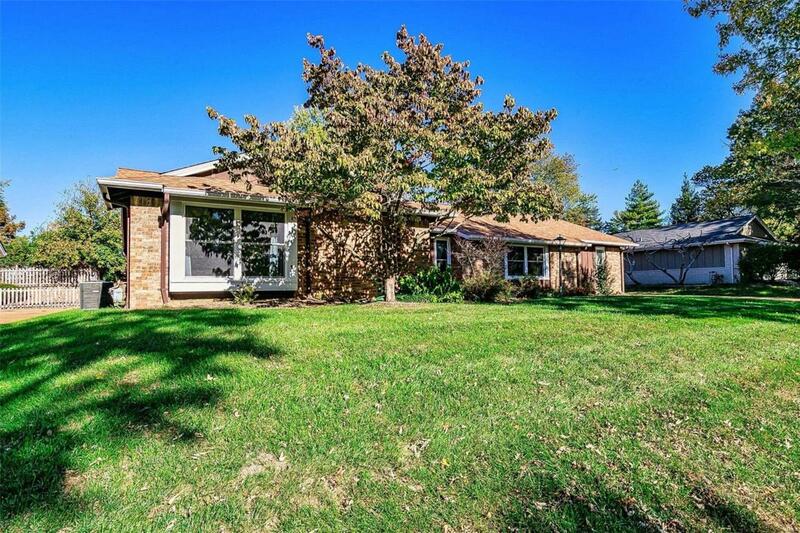 Welcome to this 4 bed, 2 full bath oversized 2 car garage ranch home located in the desired Ballwin area. Featuring beautiful landscaping, large lot, HUGE brick patio&screened in porch. 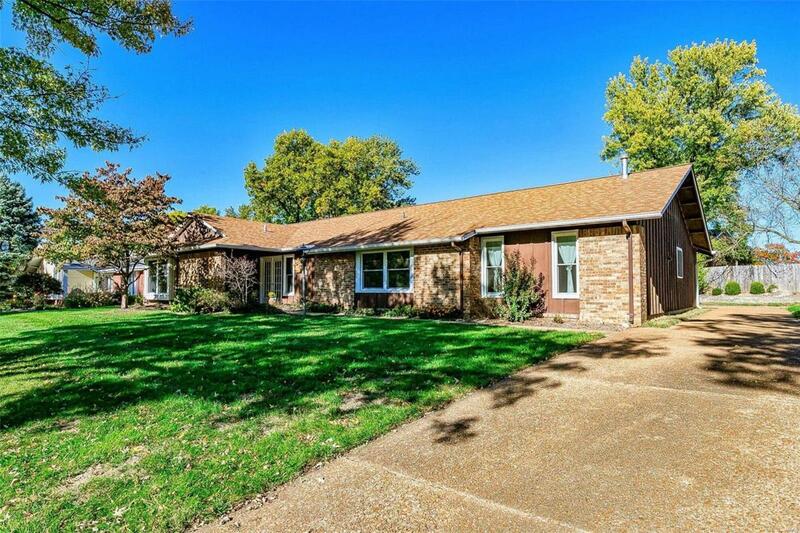 As you walk into the property notice the beautiful hardwood floors throughout,brand new carpet in dining & LR, fresh paint throughout,new Pella windows throughout entire home. Large master suite w/ bay windows&walk in closet.HUGE living room w/ tall ceilings, double french door leading to the beautiful screened in porch to enjoy outside living.Unique brick wall inside separating dining & living.Beautiful updated eat in kitchen that features ceiling height custom cabinets,stainless steel appliances,double oven,built in microwave, subway tile back splash & gorgeous Corian counter tops. 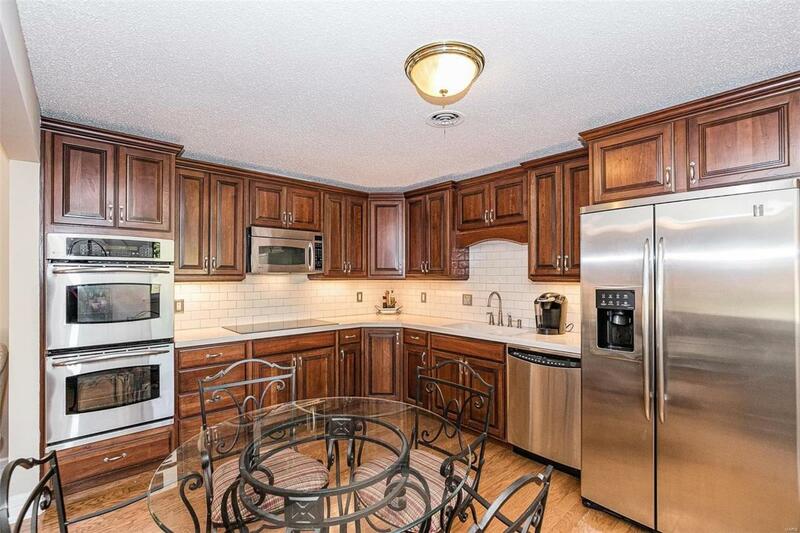 Kitchen opens to the family room which makes entertaining perfect. 2 spacious bedrooms w/ large closets. Large back bedroom with attic storage. Dont miss this amazing home located by great schools, restaurants, & shopping.